When was the last time you thought about giving your social media a sheen? Keep reading to learn about my strategies to clean up your social media and prepare for spring. A couple of years ago I read the little book that is still revolutionizing how people think about their stuff: The Life-Changing Magic of Tidying Up: The Japanese Art of Decluttering and Organizing by Marie Kondo. It’s not that I have clothes and shoes cluttering my bedroom. And I’m definitely not a hoarder. In fact, about twice a year, my husband and I go through our clothes and other household items and find things that we either no longer use or just don’t fit. But despite my way of tidying up, as I read the book, I realized that I still had stashed in my closet a Guatemalan wall hanging from the 1990s. Can you believe it? While reading Kondo’s book, and going through one of her recommended marathon discarding sessions, I remembered the wall hanging in the back of my closet. Even though I’d had it professionally dry-cleaned years ago, I hadn’t hung it on a wall in more than a decade. Yet there it was in my closet, waiting for the perfect moment or room to hang again. But the truth is that I’ve never even been to Guatemala. So why had I been carting this item from house to house, careful to keep it hung and protected in a dry cleaner’s plastic bag? I have no idea. So I gently folded the blanket and dropped it into one of my four bags of items destined for Goodwill. With that simple act, I instantly realized the value of Kondo’s book and appreciated her permission to let some things go to reduce the clutter in our closets and to make room only for those items that “spark joy” in us. When Did You Last Clean Up Your Social Media? 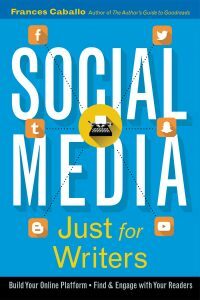 As I thought about Kondo’s book recently, I realized that her strategies also apply to social media. For example, how long ago did you set up your social media accounts? Have you revisited them recently? When I say revisit them, I mean when was the last time you updated your profiles? I’m as guilty as you might be at forgetting to add new books to my LinkedIn profile or updating my banner images. But as they say, there’s no time like the present to get busy and make sure our profiles are current. Open your LinkedIn profile and follow the steps below. Headline: Start by examining your headline. Does it include the title of your newest book? Are you describing yourself in a way that’s consistent with how you’re branding yourself today? For example, some authors start out describing themselves as writers or authors but then develop businesses around editing or design as well. Make sure that how you describe yourself best reflects your writing and business interests. For example, in my headline, I have room to describe my business focus and the names of my two most recently published books. Summary: Next, move to your Summary. If you mention recently published books, update that section now. Keep the summary succinct and use bullet points. (Create your text with bullets using Word and then copy and paste the text into your summary.) 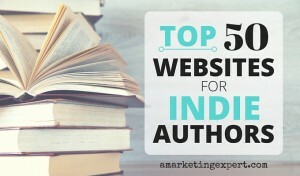 Be sure to include some form of media, whether it’s the cover of your newest book, a book trailer, or a giveaway to attract email sign-ups. Be sure to use as many keywords as you can in this section. Examples of keywords would be your name, your genre, and the audience you wish to attract. Experience: Move on to your experience section. How do your work histories relate to your career as an author? Or does it have to in your case? Make any updates that make sense to you. Publications: Under the Accomplishments section, add the Publications feature and make sure you include your newest books. While you’re here, review your book descriptions. Are they consistent with what’s on your website? Do they include keywords? Volunteer Experience: I always think it’s a good idea to include volunteer experience to demonstrate that you care about your community. Have you taken on any new volunteer posts? If so, add them now. General Updates: Have you taken new courses, earned new certificates, or received any awards for your writing recently? Be sure to add those updates in the appropriate sections. Use these file types: JPG or PNG. Make sure your image is no larger than 4MB. Limit your pixel dimensions 1584px x 396px. To review and update your Twitter account, navigate to your profile and tap or click Edit Profile. Now you can update your header image, bio, avatar, and theme color. I suggest that you start with your header image. Header image: Joanna Penn does an excellent job of displaying all her book covers on her header. And she represents both of her brands: nonfiction author, blogger, and podcaster; and her darker brand as a thriller author. You can hire a graphic designer to create your header image, or you can do it yourself by using a free tool such as Canva.com. One of the beauties of Canva, a free application, is that it has all the templates you need for all of the social media networks. In other words, you don’t need to search for the right sizes for each image you create; Canva does this for you. You can create simple headers as well. I recently created this one, which I use on Facebook and Twitter. To create my header, I went to Pixabay and downloaded a royalty-free image for the background. Then I uploaded the cover photos of my two most recently published books and added some text. It took me all of five minutes to create – for free. Avatar: Are you facing the camera in your picture? If you’re using a book cover or pictures of your cat or dog as your avatar, now’s the time to remove those images and add a picture of yourself. You are your brand; not your cat or dog. Username: Does your username have numbers symbols in it. If so, then it’s time to change that as well. Just go into your settings and use your author name instead. If someone else is using your name, you can do what I did; I reversed the order of my name so instead of my Twitter handle being @FrancesCaballo it’s @CaballoFrances. Bio: Does your bio mention your newest book and does it have a link to a giveaway so that you can grow your email list? If you previously wrote that you love lattes, now’s the time to delete that type of information. Another caution: Don’t fill your bio with hashtags. If your branding has changed, then change your theme color. When was the last time you seriously considered your Facebook author page? Banner image: If you updated your header image on Twitter, use the same design here. The dimensions should be 820 x 340 and less than 100 kilobytes. Use the same avatar for all of the social media networks you use. Use the same design for your banner images. Make sure your bio is consistent across all platforms. Make sure you are using the same author name across all networks. For example, sometimes people with middle names will just use an initial on Twitter and then include the entire middle name on Facebook. You need to use the same name that’s on the covers of your books. Review your posts. Do you include visuals with every update? It’s important to use images so that you can pin those images on Pinterest and enjoy referral traffic to your site. On Pinterest and Instagram, you don’t have banner images, but you can review your bio to make sure that it’s up-to-date. On Pinterest, review your pinboard. Are there some that should be discarded? And look at your Instagram profile? Is there consistency to your brand or a theme? Mark your calendar to review all of your networks every six months to ensure that the information is still current. If it isn’t, spend an hour updating your profiles so that you’re always promoting your current books and business focus. Finally, follow Marie Kondo’s advice. Don’t clean up your social media accounts on a piecemeal basis. Schedule a marathon session and get it done because as she says, “A tidying marathon doesn’t cause rebound.” And it will make your online life shine.